There are some days which are almost too perfect to be true. These are the days when every element combines to create magical moment after magical moment. A day when it feels as though miracles are occurring all around and the air is full of hope, happiness and expectation. Today it seems, was destined to be one such day. I cannot say why such days occur. All I can tell you is that they do. It was as though my inner feelings were reflected in perfect symmetry by the material world that surrounded me. The day started well. The winter sun was shining in a sky bereft of a single cloud, and although that sun is only a few days past its most distant from the Northern Hemisphere, there was a warmth in those rays, that hurtled towards the Earth at the speed of light, to strike at this particular spot on the planet, basking my parents home town in all of its radiant glory. That is enough to make me feel a deep and profound sense of happiness well up from within. That is enough to make me smile on the inside. That is enough to know that there is goodness in the universe. My parents home town of Bognor Regis is fortunate enough to benefit from some great feats of Victorian ingenuity and foresight. 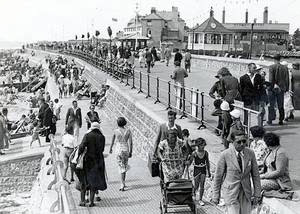 The best of these is the promenade that runs parallel to the sea, and stretches for a distance of some 2.5 miles, from the western end of the town's reaches at Aldwick, to its eastern most at Felpham. This is where Victorians would flock to the coast to take in the medicinal air of the sea. Today, it was no different. People of all types, all shapes, all sizes, all nationalities, all religions flocked to the promenade, to walk alongside the ocean, to enjoy the rays of sun, and to take in some fresh sea air. Perhaps it was the time of year, it was the day after Christmas after all (the day known as Boxing Day in England), or perhaps it was just that for three days before today, England had been suffering from continual bouts of strong winds and rain and very little glimpses of the sun, but whatever it was, there was something magical that hung in the air, that swirled in and around the people. It was this something magical that created a common bond between everyone. Whether they were as aware of it as I was, I could not tell, but one thing was certain, each one of us who walked along the promenade did so with souls that were joined together with one single purpose. We combined the energy of our hearts and we became one people. I felt it. To me, it was palpable. 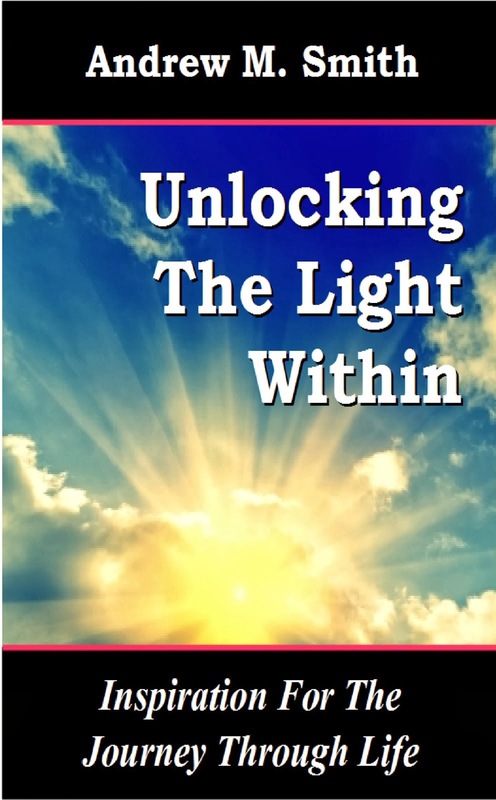 I could discern the mystical lines of energy and I am sure that if I wished it, I could have reached out my hand and grasped at individual strands. These were the fibres of an ancient, primeval energy, that joined together in unison to create a force whose whole was far greater than the sum of each individual strand. As I walked along the promenade on this day, I knew that I was witnessing a miracle, I was part of the magic, I was contributor and witness both. I could not help but to smile and to laugh and to engage with those that I saw. I wanted everyone to know that I was there, that I was with them and that I too was part of the miracle that was taking place all around. Later in the day, I walked with my parents and my sister across the South Downs of southern England, across the fields clogged with mud and puddles, footprints and hoof prints mixed in an almost indistinguishable mess. We were walking in the hills, near to the village of Slindon, West Sussex. It was one of those afternoons. Did I know that further magic was in the air as I spoke with my father and mentioned how amazing it would be to see some wild deer running free across the fields? How could I have known? I am not, as far as I am aware, gifted (cursed?) with foresight. However, this area of the South Downs is populated by deer and although it is not exactly rare to see deer, it is not a particularly common occurrence either. Wild deer tend to shy away from humans. 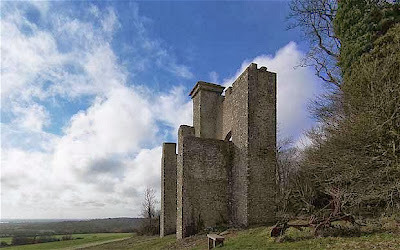 At the top of one particular hill sits Nore Folly, an odd looking structure built in the mid eighteenth century. A folly is an oddity of its time. 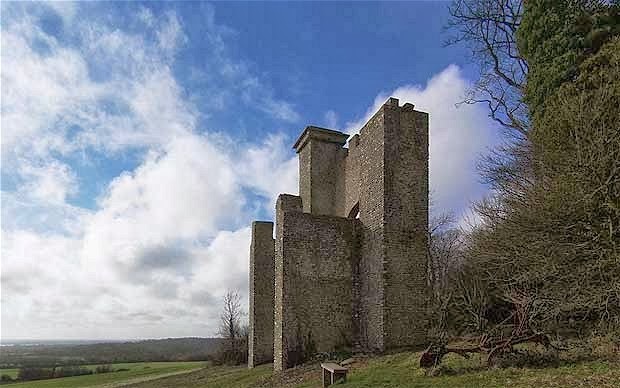 It was a non-functional structure, often built in the Gothic style by the land owners of the day as a show of wealth. Our path today took us to the top of this hill and up to the folly itself. At the sight of the folly, we were afforded glorious views out across the flat lands of the flood plains, that stretch from the base of the hills, all the way to the line of the coast, some five miles as the crow flies. The waters of the English Channel appeared to be in flame and were almost too bright to look upon, as they reflected the late afternoon sun. Looking down the hill to our left, across the furrows of the ploughed winter fields bare of crop, down to the dell below, there was a movement. Bounding from the cover of trees came a deer, then another, leaping across the fields, moving ever further away, until they abruptly changed direction and swung around to head up the field and straight towards our position. This would have been enough to confirm the magic of the day, but there was to be more. Two deer became three, became four, then five, six, seven, eight! The first two deer, perhaps braver than the rest, had been followed a few bounds behind by a further six deers, all of whom were now bounding their way up the hill and straight towards us! Eight wild deer raced past us, cold air vapourising from their nostrils, leaving us standing silently in spellbound rapture. This had truly been a day when magic was created. Or perhaps that magic continues to exist all around us every single moment of every single day. Only our cluttered lives, our rushing from one place to another, our cocooned lifestyles, that have become ever more disconnected from the natural world, perhaps it is these things that prevent us from experiencing this magic on a daily basis. When we unplug, when we allow ourselves the time to experience and to enjoy nature, then the possibilities for magic are created. Step outside of your door, take a walk, open your heart and your soul, and allow yourself to breathe in the magic. Let your eyes see the world as it truly is, a world that is full of miracles, just waiting for you.